Administrative Law Judge (ALJ) Darrell L. Lepkowsky, Office of Administrative Hearings (OAH), Special Education Division, State of California, heard this matter on October 31, 2006, and November 1, 2 and 3, 2006, in San Juan Capistrano, California. Advocate Jillian Bonnington of Possibilities represented Petitioner (Student). Advocate Tim Jon Runner was also present for most of the hearing. Student’s father was present for the first three days of the hearing as well. Student did not attend the hearing. Attorney Jennifer C. Brown of Rutan & Tucker represented Respondent Capistrano Unified School District (District). Kimberly Gaither, Legal Specialist, attended the hearing on behalf of the District. At the due process hearing, oral and documentary evidence were received. At the conclusion of the hearing, the parties agreed that the record would remain open in order for the parties to file both post-hearing and responsive briefs. Both parties timely filed post-hearing briefs on November 27, 2006. Reply briefs for both parties were timely filed on December 4, 2006. The record was closed and the matter was deemed submitted as of December 4, 2006. At hearing, the parties stipulated that the Decision in this matter would be due no later than January 3, 2007, 30 days from the date on which reply briefs were due. IV. failing to develop an appropriate individualized education plan (IEP) for Student and failing to offer him a continuum of placements, based upon Student’s unique needs? IV. reimbursement to Student’s parents for costs they incurred in obtaining independent assessments of Student, academic counseling, and private tutors. Student first contends that the District failed in its child find obligations under the Individuals with Disabilities Education Act (IDEA), as reauthorized on July 1, 2005. Student contends the District failed to identify him as a student with potential special education eligibility in the areas of specific learning disability (SLD), other health impaired (OHI), and/or emotional disturbance (ED) after Student enrolled at a District high school on October 5, 2005. Student contends that the District also failed to assess him within required statutory guidelines, per state and federal law, after his parents requested special education assistance from the District, and after being informed by Student’s parents and through prior, privately obtained assessments, of Student’s special education needs. 1 For purposes of clarity and organization, the ALJ has reorganized Student’s issues as identified in Petitioner’s due process hearing request and the prehearing conference order. 2 The District does not address the issue of OHI in its brief although it was discussed at the hearing and was the special education diagnosis made by Student’s expert, Dr. Elliott. 3 Official notice is taken of the pleadings filed with regard to the District’s motion for production of documents, pursuant to Evidence Code section 452, subdivision (d). 4 It was apparent from the discussion of the parties at hearing, and questioning of Student’s father by the ALJ, that the records in question were not in the possession of Student’s advocate. Rather, Student’s parents had had privacy concerns about producing the records to the District and, thus, had either never requested the records from the two schools in question or had never provided them to their advocate. 5 Student’s assertion that he could not compel the schools to produce the records is not persuasive. The records belong to him, not the school. It is doubtful that a parent paying tuition to a private school, as the case here, would be denied requests from the school had such a request been made. Furthermore, Student’s parents failed to sign a waiver provided by the District that would have enabled the District to obtain the records directly from the schools in question, further undermining the persuasiveness of Student’s arguments. 6 Mr. Afualo testified that he relied upon at least six treatment plans that were not provided to the District or to the ALJ. Dr. Barratt testified that he relied upon clinical records from Youth Care that Student did not provide to the District or to the ALJ. 7 Dr. Greenberg did not testify at the hearing. Nor were any of his reports for Student, other than a letter written to “whom it may concern” after Student was sent to Utah, provided to the parties or moved into evidence. 8 Abilify was prescribed to treat Student’s mood disorders (and is often prescribed, according to its manufacturer, for bi-polar disorders and schizophrenia). Stratera was prescribed to treat Student’s attention problems. 9 Student’s father believed that he was providing the District with an updated version of Dr. Elliott’s original assessment report. However, Dr. Elliott’s testimony at the hearing indicated that he had made little, if any, updates to the report. The District did not attempt to ascertain whether the report had been updated either when it first received the report or at the SST meeting. 10 The terms “assessment” and “evaluation” are synonyms. Federal statutes and regulations generally use the term evaluation. California statutes and regulations generally use the term assessment. 11 See 34 Code of Federal Regulations part 300.531. All references to the Code of Federal Regulations herein are to the IDEA Federal Regulations of 1999, which were in effect at the time the due process complaint was filed. 12 The American Hyperlexia Association defines hyperlexia as a syndrome with characteristics similar to autism, behavior disorder, language disorder, emotional disorder, Attention Deficit Disorder, hearing impairment, giftedness or, paradoxically, mental retardation. Dr. Tibbetts established that hyperlexia originally referred to children who had high reading and decoding skills, but low comprehension skills. The definition is now referred interchangeably with Asperger’s Syndrome. 15 The District’s argument that it was not under an obligation to assess Student since he was unavailable due to his placement in Utah and his parents’ stated unwillingness to bring Student back to California for the assessment, is not persuasive. The District did not present Student with a proposed assessment until approximately September 6, 2006, outside the period covered by the instant case. It was the District’s obligation first to propose an assessment before Student needed to be available for assessment, not the reverse. The District’s argument is analogous to the adage about “the tail wagging the dog.” The ALJ makes no finding as to whether the Student was obligated to make himself available for assessment in California. 16 The reimbursement ordered is based upon the cost of one week of residential treatment at Youth Care in March 2006, in the sum of $3,352.50, and residential treatment at Youth Care for April and May 2006 (until May 11), in the sums of $13,410.00 and $4,917.00, respectively. Also included is transport to SunHawk in the sum of $650.00, an initial evaluation at SunHawk in the amount of $225.00, residential treatment at SunHawk for the month of May 2006, in the sum of $6,600.00, and residential treatment at Sunhawk for half the month of June 2006, in the sum of $2,850. Student therefore asserts that his parents are entitled to reimbursement for all costs they incurred for his residential placements in Utah, including transportation, tuition, room and board, related medical costs, and costs for family visits. Student also contends that his parents are entitled to reimbursement for other costs associated with private services they provided to Student and that Student is entitled to compensatory education and compensatory mental health counseling, all as remedies for the District’s failure to meet its legal obligations. The District responds that it did not fail to meet any of its legal obligations to Student. The District maintains that there was no reason for it to believe that Student had a disability based upon his failing grades. The District contends that Student’s in-class behavior and performance were unremarkable and that his failing grades were attributable either to his failure to do any of the assigned homework, which resulted in an inability for Student to pass his tests, or to his drug use. Further, the District asserts that when Student began failing his classes, the District appropriately responded by changing Student’s academic placements. When Student’s parents requested assistance from the District, it contends it appropriately responded by initiating the student study team (SST) process. The District, moreover, contends that Student’s parents never requested that it assess Student, prior to his being residentially placed in Utah. The District asserts that it does not have any child find obligations to Student since he was privately placed in Utah prior to having been identified as a student eligible for special education. 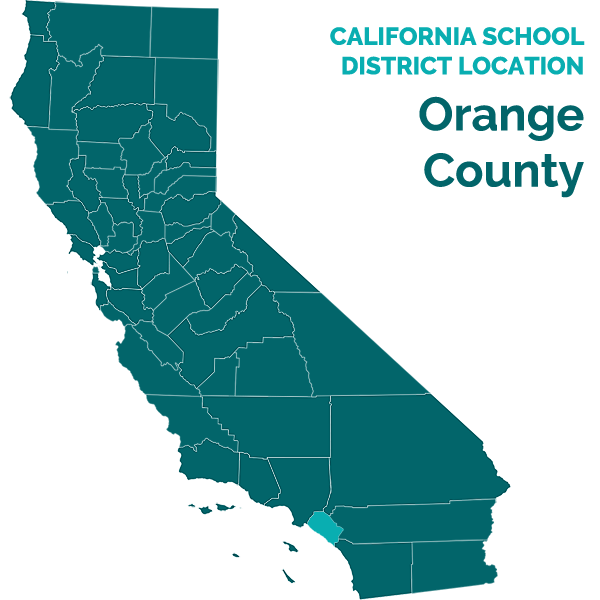 Additionally, the District points to the fact that Student’s parents have never agreed to make him available for assessment in California (specifically, in San Juan Capistrano) and, therefore, the District does not have an obligation to assess Student irrespective of its child find obligations. Finally, the District asserts that Student was not eligible, and would not have been found eligible, for special education under the eligibility categories of SLD or ED,2 and, therefore, neither Student nor his parents are entitled to any of their requested remedies. As elaborated below, it is found that the District improperly failed to refer Student for an assessment on January 6, 2006, when Student’s father asked for special education assistance, and failed in its child find obligations beginning on January 19, 2006, and that these failures denied a free and appropriate public education to Student. It is further found that Student is eligible for special education services, and related services, and that he should have been referred for a mental health assessment after his suicide attempt. As a result, Student is entitled, at least partially, to the reimbursement of expenses he has requested. The District requested that Student produce all documents concerning the treatment he received at two residential treatment centers in Utah. Prior to the prehearing conference on October 20, 2006, the District filed a motion for production of documents in order to obtain these documents since Student had never produced them. Student indicated in his opposition to the motion and at the prehearing conference that he would provide all the requested records as part of his evidence notebook. The District’s motion was granted in part at the prehearing conference. The Student was ordered to provide all documents relied upon by his experts in formulating their expert opinions within the statutory periods for producing documents. Student was cautioned that expert testimony based upon documents that were not produced might be subsequently subject to a motion to strike the testimony. The District argues that it is inherently prejudicial to permit Student to violate this tribunal’s earlier order directing production of all reports relied upon by the experts, and then permit the experts to testify. The District and its experts had to prepare a defense to Student’s allegations without being able to review the documents that were the bases for opinions of Student’s experts. Student responds that the District’s initial written requests for the records, and the District’s subsequent motion to compel, were untimely. Student further argues that he was not able to compel the production of the documents from the schools in Utah.5 Finally, Student argues that the information in the documents is not relevant to the core issues in the case: whether the District failed in its child-find obligations or failed to refer Student for an assessment, prior to the time he left for Utah. The District is correct in asserting that under Education Code section 56505.1, subdivision (f), an ALJ may exclude witnesses or documents not disclosed to the other party. Further, the cases and statutes cited by the District, while not directly on point, all address one central theme: the prejudice to the opposing party when a discovery order or discovery statute is disregarded. Here, Student’s refusal to produce the records, even after being cautioned to do so at the prehearing conference, has significantly prejudiced the District. As stated by the District, the lack of the pertinent documents has prevented it from fully being informed about the circumstances concerning Student’s treatment and schooling at his two residential placements in Utah, and has prevented the District’s attorney and experts from being able to fully counter the opinions expressed by Student’s experts. Additionally, by failing to produce the documents, Student has violated two direct orders of OAH. Moreover, and just as significant, the failure to produce the records has prevented the ALJ, as trier of fact, from clearly being able to judge the credibility of Student’s experts with regard to whether their opinions are based on appropriate analyses of the records. Further, the failure to produce relevant documents has prevented the ALJ from being able to judge fully the significance of the conclusions of these experts. 1. Student was born on February 20, 1989. At the time of the hearing, Student was 17 1/2 years old, and was attending school at a residential treatment center in Utah called the SunHawk Academy. However, his permanent residence is with his parents, who reside within the boundaries of the District. Student attended Capistrano Valley High School, from October 5, 2005, until late February 2006. Student has never been found eligible for special education services by a public school district. 3. Dr. Elliott assessed Student in August of 2003, specifically to determine if Student suffered from a learning disability, to assess for evidence of Attention Deficit Disorder (ADD), and to determine Student’s intellectual and scholastic functioning. The results of these tests are discussed below. 4. Student attended Laguna Hills High School, a public school outside of the District, for ninth grade. Student did not receive special education services while at that school. 5. Student’s grades deteriorated in tenth grade. His parents were concerned that Student was not performing well, so they withdrew him from the public school and enrolled him at Futures High School. Futures is a private school that operates on a workshop model. The students attend school for one hour a day in an office setting, and then are required to work five hours at home, under the guidance of a parent. 6. Student’s mother, however, was not able to cope with having Student primarily schooled at home. Dr. Elliott recommended a placement for Student at the Winston School, a private school in northern San Diego County. Student began there at the beginning of his eleventh grade school year, but only attended for three weeks. Student’s parents decided to remove him from Winston and enroll Student at Capistrano Valley. 7. Under both federal and state statutes and regulations, school districts are required to locate, identify, and assess all children with disabilities who reside within the district. This requirement is commonly known as the district’s “child find” obligation, and it extends even to children who are successfully completing each grade level. With regard to a specific child, a school district’s obligation arises when there is reason to suspect a disability and reason to suspect that special education services may be needed to address that disability. The initial inquiry is whether the district should refer the child for an assessment, not whether the child ultimately will qualify for services. The duty to locate and identify a child who may need special education services rests with the school district, not with the child’s parents. 8. Student contends that the District was aware that Student had a learning handicap the day he enrolled at Capistrano Valley and that the District failed to identify and assess Student as a child with a disability who was in need of special education. The District denies that Student exhibited any educational need for assessment or services on the day he enrolled at Capistrano Valley. 9. Student’s father enrolled him at Capistrano Valley on October 5, 2005. Academic Advisor Ann Howe guided him through the enrollment process. Father verbally informed Ms. Howe that Student had been diagnosed with ADHD, and indicated on the enrollment form that Student previously had been enrolled in a “Learning Handicapped” class. 10. Student’s father did not inform Ms. Howe that Student specifically had attended the Winston School due to its emphasis on educating students with learning handicaps. Nor did Student’s father inform Ms. Howe that Student had been diagnosed with a learning handicap. He did not indicate on the enrollment form that Student had any special health or medical problems, or that Student was taking prescription medications to treat his anxiety and ADHD. Student’s father did not inform Ms. Howe, or indicate on the enrollment form, that Student was under psychiatric treatment and receiving psychological counseling, nor did he inform Ms. Howe of any problems Student was having at home or had had at previous schools. Student’s father did not indicate that Student was taking illegal drugs or had a drug problem of any kind. Finally, Student’s father did not give Ms. Howe a copy of Dr. Elliott’s report or inform her that Dr. Elliott had recommended that Student receive special education services. 11. The only information Student’s father gave Ms. Howe about the Winston School was that Student had been in college preparatory classes and he wanted Student to be enrolled in the same level of classes at Capistrano Valley. Ms. Howe complied with the request of Student’s father and enrolled Student in college preparatory classes appropriate for an eleventh grader, and based upon the information given to her by Student’s father. Ms. Howe was not familiar with the Winston School and did not inquire further. Student’s father did not have copies of Student’s transcripts from any of his prior high schools. Ms. Howe therefore arranged to have them sent to Capistrano Valley. 12. The information available to the District, and its employees at Capistrano Valley on the day Student enrolled at the school was minimal. The District was only aware that Student had been diagnosed with ADHD and that he had been enrolled in college preparatory classes at each previous high school that he had attended. The District was never told that Student had been found eligible for special education services or that he had any psychological problems that might indicate a referral for assessment was warranted. The District did not violate its child find obligations to Student on the day he enrolled at Capistrano Valley. 13. As stated in Factual Finding 7, a district’s duty to identify, locate, and assess a child under its child-find obligations arises with the district’s knowledge of facts tending to establish a suspected disability and the need for special education services. However, the fact that a student is failing classes for a short period is generally not enough notice to a district that a student may be in need of special education services. 14. The Student contends that the District failed to identify and assess him as a child who might be eligible for special education services when he began failing his classes almost immediately upon enrolling at Capistrano Valley, and during the following months prior to the request by Student’s father for special education assistance. The District denies that Student exhibited any educational need for assessment or services based upon his failing grades. 15. The District eventually received Student’s grades from his three prior high schools. Student’s grades at Laguna Hills were average during ninth grade. He was failing three of five academic classes at the beginning of tenth grade when he transferred to Futures High School. Student received all As and Bs at Futures. His grades for the three weeks Student attended Winston were Bs and Cs. There was nothing in the three transcripts to alert the District that Student had any unique educational needs. 16. Student’s good grades at Futures and Winston caused Ms. Howe to believe that Student would be successful at Capistrano Valley. Neither she nor Student’s teachers were alarmed when Student began receiving failing grades. Ms. Howe knew that Capistrano Valley was very academically oriented and very competitive. She believed that the transition from the individual learning format at Futures to the large, more impersonal campus at Capistrano Valley might have been difficult for Student. Additionally, Student began school some six weeks after the semester had begun. He therefore missed much of what had been taught during those weeks. 17. Furthermore, Student did not evidence any problems in his classes. Two of Student’s teachers from Capistrano Valley testified at the hearing: Ms. Harvey, Student’s Chemistry teacher, and Ms. Robinson, Student’s History teacher. Both were sincere and evinced great concern for Student. The thrust of their testimony was similar: for the time Student had been in their classes, he had been a pleasant young man who socialized with his classmates, at least in class, was polite and attentive to his teachers, and never had any behavior problems. Student participated in all in-class assignments and completed them in class. However, Student did not turn in homework assignments. This affected both his ability to understand tests and his overall grade in the classes. Both teachers indicated that a student who did not do homework would be so far behind in course material taught in their classes that passing the tests would be difficult. Both teachers have considerable experience teaching high school students, and given the normal personality of adolescent boys, neither teacher found it particularly remarkable that Student was not doing his homework. 18. Student’s father and school administrators at Capistrano Valley, in particular Ms. Howe, almost immediately began communicating through email to discuss Student’s progress at school. Ms. Howe not only responded promptly to all communications from Student’s father, but also initiated her own when she was concerned about Student’s progress. When Student indicated to her that he was concerned about his ability to keep up with his mathematics class, Ms. Howe contacted Student’s father to suggest that it might be appropriate to place Student in a lower level college preparatory class. The school made the change either in late October or in early November of 2005. 19. In mid-November, Student’s father again sent an email to Ms. Howe voicing his concern that Student’s classes might be too difficult for him. Student had only been at Capistrano Valley for a little over five weeks at that point. Ms. Howe immediately responded to the email suggesting that they wait to address the issue of Student’s placement until after Thanksgiving when Student would have a complete set of grades. As agreed, Ms. Howe and Student’s father met after the Thanksgiving holiday in November 2005. There was continuing concern about Student’s ability to handle the college preparatory level classes at Capistrano Valley. The two discussed withdrawing Student from his chemistry class and perhaps some of his other academic classes that might have been too difficult for him. 20. Other than the fact that Student was not turning in homework, which in turn negatively influenced his ability to pass his tests, the District had no other information during this period (October 5, 2005, to January 5, 2006) that should have led it to believe that Student had a potential disability. The only information the District possessed was that Student had previously been successful at school but was not doing well at Capistrano Valley. The District’s belief that Student’s failure could be attributed to the transition to a new school (and perhaps due to having attended four high schools in just over two years) was reasonable given the information it had at the time. The District had no reason to believe that Student was a child in need of special education services during this period and therefore did not violate its child find obligation. 21. As indicated in Factual Finding 7, a district’s duty to identify, locate, and assess a child under its child-find obligations arises with the district’s knowledge of facts tending to establish a suspected disability and the need for special education services. 22. As discussed below, Student’s father asked the District for “special education services” for Student on January 6, 2006. In response, the District initiated its SST process. The first step in the process was a request that Student’s father complete a confidential parent questionnaire. Student’s father returned the questionnaire to the District, along with a copy of Dr. Elliott’s assessment report (which Student’s father told the District had been updated), on January 19, 2006. 23. Student contends that the information contained in the confidential parent questionnaire and the assessment report of Dr. Elliott, should have alerted the District that Student was a child with potential needs for special education services. Student contends that the District should have either found him eligible for special education services or referred him for a special education assessment. The District contends that it responded correctly to receipt of these documents by initiating its SST process and that Student’s needs did not warrant an assessment at that time. The District denies that it failed in its child-find obligations. 24. In the confidential parent questionnaire, Student’s father, for the first time, informed the District of several salient facts about Student. Student’s father disclosed that Student was taking Ambien nightly and had just ceased taking Abilify and Stratera.8 He also disclosed that Student’s psychologist had recommended a special program for him. Other information included the fact that Student had had issues with eating, his sleeping patterns, his physical appearance, friends, mood swings, and his room, since approximately sixth grade. Student’s father further indicated that Student was then receiving counseling from a psychiatrist and a psychologist and that Student had previously tested positive for marijuana use. Student’s father also indicated on the questionnaire that Student frequently seemed sad, moody, or angry. Finally, Student’s father indicated that Student had previously discussed suicide and that Student had been suffering from severe depression and anxiety. Receipt of this questionnaire did not prompt the District’s personnel to refer Student for a special education assessment. 25. Dr. Elliott’s assessment indicated that Student was experiencing problems in multiple settings, that Student had anxiety, depression, obsessive thoughts, and had difficulties with comprehension. Dr. Elliott reported that Student was on prescribed medication for his ADHD and anxiety. Dr. Elliott’s report indicated that he had administered a battery of tests to Student. Because of the tests and Dr. Elliott’s clinical interview with Student, Dr. Elliott confirmed the prior ADHD diagnosis of Student. He also diagnosed Student with major depressive disorder and generalized anxiety disorder. Dr. Elliott’s conclusion was that Student met the state and federal requirements as other health impaired due to his ADHD and, therefore, Student might qualify for special education services. 26. The District did not refer Student for an assessment after receiving the confidential parent questionnaire and Dr. Elliott’s assessment report from Student’s father on January 19, 2006. 27. School psychologist Dr. Walter Ernsdorf testified at hearing concerning the District’s child-find policies, its SST procedures, and its assessment procedures. Dr. Ernsdorf has over two decades of experience as a high school psychologist. His duties have included assessing students, counseling them, helping to develop individual education plans (IEPs), participating as a member of the SST, and coordinating the District’s program for severely emotionally disturbed students. Dr. Ernsdorf also maintains a part-time private psychotherapy practice specializing in adolescents and young adults. He testified that he believed that there was no reason to refer Student for an assessment based on the contents of the questionnaire completed by Student’s father or the assessment report of Dr. Elliott, which was two and one-half years old at the time it was submitted to the District. Dr. Ernsdorf believed that initiating the SST process was sufficient under the circumstances. However, Dr. Ernsdorf’s belief that referral for assessment was not appropriate at that time is contrary to the opinion of the District’s designated expert, Dr. Terry Tibbetts. 28. Dr. Tibbets is presently the Director of the Monterey County SELPA. He has an impressive and extensive resume. In addition to his doctorate degree (and corresponding bachelor’s and master’s degrees) in psychology, Dr. Tibbets also has a law degree. He is certified in California as a school psychologist as well as a teacher (multiple subjects and learning handicapped). His experience includes that of administrator for a school district, responsible for developing and monitoring the district’s special education services, and five years as a program manager for a county office of education, where he was intimately involved in the provision of special education services and in the litigation of due process hearing issues. Dr. Tibbits has been a school psychologist, a supervisor of education and a psychologist for the juvenile correction system, and a mental health program specialist for the California Department of Mental Health. Dr. Tibbets is on, or has been on, the boards of directors of several organizations. He also has a number of publications to his credit, notably Identification and Assessment of the Seriously Emotionally Disturbed Child published in 1986 by the California Department of Education, and which is used as a “handbook” for identifying children who meet the definition of emotionally disturbed under the IDEA and state statutes and regulations. Dr. Tibbet’s testimony was direct, forthright, did not attempt to avoid addressing issues that might be problematic for the District, and was never evasive. His testimony was highly credible and is entitled to significant weight. 29. In Dr. Tibbets’s opinion, when a child of at least average intelligence begins failing his or her classes, this should be a red flag to a school district that something may be amiss with the child. The substance of Dr. Tibbets’s opinion was that, when presented with an assessment report of an independent assessor, normal practice would have been for a school district to either accept the report or conduct its own assessment to gather additional information on the student, including conducting interviews with parents and teachers and conducting home and school observations. 30. The information contained in the confidential parent questionnaire, as described in Factual Finding 24, and the information contained in Dr. Elliott’s report, as described in Factual Finding 25, is the type of information that typically should lead a school district to suspect that the child in question has a disability. The District violated the IDEA and state statutes when it failed to refer Student for an assessment after receiving these documents, and thus failed in its child find obligations to Student. 31. As stated in Factual Finding 7, a district’s duty to identify, locate, and assess a child under its child-find obligations arises with the district’s knowledge of facts tending to establish a suspected disability and the need for special education services. Moreover, the duty to locate and identify a child who might need special education services rests with the school district, not with the child’s parents. 32. Student contends that the District had sufficient information at the SST meeting, including the confidential parent questionnaire and Dr. Elliott’s report,9 to be under an obligation to refer Student for an assessment. The District asserts that it properly followed its SST process with Student during and after the meeting. Furthermore, since Student’s father agreed with the SST that assessments should only be done if the proposed interventions failed, the District was not obligated to refer Student for an assessment. 33. The District held the SST meeting for Student on February 7, 2006. The participants at this meeting reviewed case study forms completed by some of Student’s teachers, reviewed Dr. Elliott’s assessment report, specifically his recommendations concerning interventions that could be implemented in the classroom, and discussed other recommendations to address Student’s failing grades. The decision at the end of the meeting was to inform Student’s teachers of the proposed interventions so that they could begin to implement them and to review Student’s progress in another four-to-six weeks. The District personnel recommended that the SST consider an assessment process in the future if the interventions were not successful. Student’s father did not express any disagreement with the SST process or the recommendations made at the meeting. The District personnel did not refer Student for an assessment at the end of this meeting. 34. The District had sufficient information at the SST meeting to suspect that Student might be a child with a disability. The fact that Student’s father agreed to wait to assess Student does not negate the District’s legal obligations. It is the District, not a parent, who has the obligation to locate, identify, and assess students for special education. Furthermore, interventions to assist a student in general education do not negate a district’s legal obligation to assess a student where, as here, the facts are the type that should lead educators to suspect a child has a disability. The District failed in its child find obligations to Student when it failed to refer him for an assessment after the SST meeting. 35. As stated in Factual Finding 7, a district’s duty to identify, locate, and assess a child under its child-find obligations arises with the district’s knowledge of facts tending to establish a suspected disability and the need for special education services. 36. Student contends that the District should have referred him for an assessment, and should have referred him to the county mental health department, after he attempted to commit suicide. The District maintains that it had no duty to do so. 37. On February 17, 2006, 10 days after the SST meeting, Student took an overdose of drugs and alcohol in what he later termed was a “dry-run” for an actual suicide to be attempted on his birthday three days later. Student was hospitalized, first at Mission Hospital, after which his parents transferred him to College Hospital in Cerritos. His urine tests were positive for barbiturates, benzodiazepines, and cocaine. His discharge summary from College Hospital indicates that Student was at high risk for decompensation although he was not suicidal on February 27, 2006, the date the hospital discharged him. On February 23, 2006, Student’s father sent an email to the District informing the District that Student was in the hospital and that, from the hospital, Student was going to be sent to a residential treatment center in Utah for treatment of his anxiety, drug use, and ADHD. The District did not attempt to get more information from Student’s father, and did not offer to assess him at this time. 38. The District was aware that Student was under the care of a psychologist and psychiatrist, that he had been prescribed medications to treat his anxiety and depression, that previously he had had suicidal ideations, that he had been failing his classes, and that he was now hospitalized in a psychiatric hospital for a drug overdose. These are all the type of facts that are an indicia of emotional disturbance and which typically give rise to a suspicion that a child might have a disability. 39. Student’s suicide attempt, in conjunction with the other facts known to the District about Student’s mental health at the time, was sufficient reason for the District to suspect that Student had a disability and, thus, to refer Student for an assessment. Its failure to do so was a violation of the District’s child find obligations. 40. A child’s parents, a local educational agency (LEA), or any other state agency, may request an initial assessment10 of a child in order to determine whether he or she is eligible to receive special education services. The initial request triggers statutory periods by which the school district must present an assessment plan to the child’s parents and by which the parents must decide whether they are going to sign the proposed plan. Receipt by the school district of the signed plan, in turn, triggers a statutory period by which a team must develop an IEP. All referrals for special education and related services shall initiate the assessment process. 41. Student contends that the District should have immediately referred him for an assessment when it received the email from his father requesting “special education assistance.” The District contends that since Student’s father did not specifically request that the District assess Student, it was not under a legal obligation to offer a referral. 43. Rather than proposing an assessment plan in response to the request of Student’s father for special education assistance, the District initiated its SST process. The District’s personnel, including Ms. Howe, testified that they did not feel that the request made by Student’s father amounted to an immediate referral for a special education assessment. Rather, they testified that their belief was that initiating the District’s SST process, which they consider an integral part of the District’s child-find system, was an appropriate response to the email they received from Student’s father. Ms. Howe, therefore, in accord with normal District practices, immediately responded to Student’s father. She informed him that the school counselor, Ms. Soucy, would send him a packet of materials and forms to fill out. Ms. Howe informed Student’s father that he should provide any documentation regarding Student’s disabilities to Ms. Soucy, along with his forms, after which the District would set up an SST meeting with Student’s father and school personnel. Neither Ms. Soucy nor Ms. Howe suggested or discussed assessing Student at that time. 45. The evidence supports Student’s contention that the District violated the IDEA and California law implementing the Act when it failed to assess him when his father requested special education assistance in his email to Ms. Howe on January 6, 2006. 46. A district is required to assess a student in all areas of suspected disability. A failure to do so is a procedural violation of the IDEA and corresponding provisions of the California Education Code. A student is entitled to a remedy if the procedural violation of failing to assess him denied him a FAPE. If Student would have been found eligible as OHI had the District assessed him, he has been denied a FAPE by the District’s failure to do so. Under federal and state statutes and regulations, a child may be found eligible under the category OHI if he or she has limited strength, vitality or alertness that results in limited alertness with respect to the educational environment, that is due to a chronic or acute health problem, such as ADD or ADHD, which adversely affects a child’s educational performance. 47. The Student contends that his ADHD has previously been found to affect his educational performance. The District does not discuss the category of OHI in its post-hearing brief. 48. Based upon his testing results and his interview with Student, Dr. Elliot found that Student appeared to be eligible for special education services under the category OHI, due to Student’s diagnosed ADD/ADHD. He found that Student’s ADD was impeding his access to his education, as were Student’s emotional problems. Dr. Elliott based his conclusions on his observations of Student’s limited strength, vitality and alertness, which he attributed to Student’s ADHD and its adverse affect on Student’s educational performance. 49. The District did not present any evidence that Student did not meet the criteria for OHI. The only evidence presented, through Student’s teachers, was that Student functioned in class, but did not turn in homework and failed most of his tests. Those observations are not sufficient evidence to contradict the findings made by Dr. Elliott, which were based on a full assessment process, that Student’s ADHD was affecting his ability to access his education. Additionally, Dr. Tibbetts was of the opinion that the District should have either accepted Dr. Elliott’s report as part of the assessment process or initiated a new assessment process for an OHI determination. 50. Student has established that he is eligible for special education services under the category OHI. The District violated the IDEA and the concomitant state statutes, and therefore denied Student a FAPE, when it failed to refer Student for an assessment based on eligibility under the category OHI. 51. As stated in Factual Finding 46, a school district is required to assess a child in all areas of suspected disability. A student is entitled to a remedy if the procedural violation of failing to assess him denied him a FAPE. If Student would have been found eligible due to a specific learning disability (SLD) had the District assessed him, he has been denied a FAPE by the District’s failure to do so. A child has a SLD when he or she has a disorder in one or more of the basic psychological processes involved in understanding or in using spoken or written language, which may affect the student’s ability to listen, think, speak, read, write, spell, or perform mathematical calculations. An SLD may be found when a child demonstrates a severe discrepancy between ability and achievement, or when a child does not respond to scientific, research-based intervention as part of an assessment process. 52. Student contends that he suffers from hyperlexia, a specific learning disability that adversely affects his ability to understand what he reads. The District asserts that there is no evidence to support a finding that Student suffers from any type of SLD. 53. Dr. Elliott administered 10 assessment tests to Student: the Weschler Intelligence Scale for Children, Third Edition, the Weschler Individual Achievement Test, with subtests; the Woodcock-Johnson –Revised, with subtests; the Conners’ Continuous Performance Test; the Stroop Color and Word Test; the Wisconsin Card Sorting Test; the Nelson Denny Reading Test; the Minnesota Multi-Phasic Personality Inventory for Adolescents; the Rorschach Inkblot Test; and the Thematic Aperception Test. He also conducted a clinical interview with Student. 54. Dr. Elliott’s test results do not indicate that Student has a specific learning disability. There is no mention in his report of hyperlexia,12 and the test results he obtained from Student do not show any significant discrepancies between ability and achievement. Student demonstrated average intelligence and average achievement on his test results. The test results obtained by Dr. Barratt, the psychologist who assessed Student after his suicide attempt, are substantially similar to those obtained by Dr. Elliott. They also do not support a finding that Student suffers from hyperlexia, any other processing disability, or any other SLD. Student presented no other evidence to support his contention that he suffers from hyperlexia, or any other SLD. 55. Although the District did not assess Student in the area of SLD, its failure to do so did not deprive Student of a FAPE since Student has failed to prove that he is eligible for special education under the category of SLD. 56. The District is required to assess Student in all areas related to his suspected disability, including his social-emotional status if appropriate. Further, the District is required to refer Student to the county mental health department for evaluation if it suspects that Student is in need of mental health services. A school district denies a student a FAPE if a student would have been found eligible for special education services as an emotionally disturbed child or is found to require mental health services had he or she been assessed. Additionally, to provide a legally adequate FAPE, a school district is also required to provide supplementary, or related, services, including mental health services, necessary for the child to access his or her education and to meet his or her unique needs. 57. A student qualifies as emotionally disturbed if he exhibits one of five characteristics listed in the IDEA and the Code of Regulations, title 5, section 3030, subdivision (j), for a long period of time, to a marked degree, and such that it affects his or her academic performance. 58. Student contends that the District should have assessed his social-emotional status. He contends that he required mental health services, a finding the District would have made had it assessed him. Student contends that the District should have assessed him after he attempted to commit suicide and should have referred him to the county mental health department for evaluation. Student further contends that he would have been found eligible for special education services under the category emotionally disturbed (ED), due to his pervasive mood of unhappiness or depression, his suicidal behavior, and his failing grades, which indicate an inability to learn. The District contends that it had no reason to assess Student and that Student did not meet the criteria for ED. It further contends that Student did not require a mental health referral or mental health assistance. 59. As stated in Factual Findings 16 and 42, Student began to fail his classes soon after he enrolled at Capistrano Valley. There was no intellectual, sensory, or health factor to explain Student’s failures in his classes. 60. As stated in Factual Finding 24, Student’s father completed a confidential parent questionnaire, which he gave to the District on January 19, 2006. In that questionnaire, he informed the District that Student was taking medication for his ADHD and anxiety and that Student had been severely depressed, had suicidal thoughts, and was under the care of a psychologist and a psychiatrist. Student’s father also informed the District that Student had problems with his eating and sleeping habits and with mood disorders and that Student had tested positive for marijuana use. 61. As stated in Factual Finding 25, Student’s father provided a copy of Dr. Elliott’s assessment report to the District on January 19, 2006. In his report, Dr. Elliott indicated that Student was experiencing problems in multiple settings, that Student had anxiety, depression, obsessive thoughts, and had difficulties with comprehension. Dr. Elliott reported that Student was on prescribed medication for his ADHD and anxiety. His report also indicates that he diagnosed Student with major depressive disorder and generalized anxiety disorder. 62. As stated in Factual Finding 37, Student attempted to commit suicide on February 17, 2006. While Student was hospitalized at College Hospital, Student’s doctors informed Student’s parents that he required treatment at a locked facility. Student’s father testified that the doctors informed him they would have to commit Student under Welfare and Institutions Code, section 5150, if Student’s parents did not find an appropriate facility for Student’s further care. 63. Dr. Tibbets testified that neither the report of Dr. Elliott nor the report of Dr. Barratt gave a complete analysis for a finding of emotional disturbance for Student. Dr. Tibbetts stated that the reports indicate Student was emotionally disturbed in a clinical sense but that he could not qualify Student as ED in an educational sense based on the reports. However, Dr. Tibbetts also indicated that he would have assessed Student given the facts of this case and indicated that, without an assessment, it would be difficult to reject an ED diagnosis. He indicated that a situation where a child who had been achieving at grade level suddenly begins to fail everything should be a red flag warning to a school that something is wrong with the child. Dr. Tibbetts indicated that he would consider a child’s depression pervasive when accompanied by suicidal ideation for a year. Dr. Tibbetts further indicated that even one suicide attempt could be pervasive. Such a finding would depend on what the purpose of the suicide attempt was, how suicide was attempted, and what motivated the child to attempt suicide. 64. The evidence presented by Student indicates that he has suffered depression and anxiety for many years. A psychiatrist who prescribed drugs to address Student’s ADHD and his anxiety and depression has treated him medically. Student also has undergone years of group and individual counseling with his psychologist, Dr. Elliott. Student’s emotional problems resulted in his plan to commit suicide. This anxiety and depression has not decreased in spite of the years of counseling received by Student or the medications prescribed to him. Student’s mental health problems therefore were of long duration. 65. The evidence indicates that Student exhibited emotional disturbance in more than his home domain. Student’s father testified that Student had few friends; Student indicated the same to Dr. Ted Barratt during the latter’s interview with him in Utah. That Student was incapable of completing his homework, without any reasonable explanation, and was failing his classes, again without explanation, indicates that he was exhibiting emotional disturbance in his school domain as well. Student was having emotional problems affecting his home environment as well. Therefore, Student’s emotional problems were to a marked degree. 66. Additionally, Student’s emotional disturbance was affecting his academic performance. He has average intelligence, and is capable of getting at least average grades. He passed the high school exit exam. For reasons that appear to be related only to his emotional problems, Student would not complete homework and was failing his classes. Although he admitted to using illegal drugs, the drug use does not appear to have been the major contributing factor to Student’s school failure. Neither Dr. Elliott, who saw Student on a regular basis prior to Student’s suicide attempt, nor Student’s teachers, who saw him daily for many months, noted any behavior that indicated pervasive drug use. Student therefore meets all three limiting criteria for an emotionally disturbed child. 67. Finally, Student meets three of the five characteristics of an emotionally disturbed student. For many years, he has exhibited a general pervasive mood of unhappiness or depression, noted by Dr. Elliott, described by Student’s father, and again noted by Dr. Barratt. Also, during the months he was attending school at Capistrano Valley, Student exhibited an inability to learn which cannot be attributed to his lack of intellectual capacity, any sensory factors, or to physical health problems. Finally, Student was “displaying inappropriate types of behavior or feelings under normal circumstances exhibited in several situations,” a third characteristic listed in California Code of Regulations, title 5, subdivision (i). Suicidal tendencies, failing classes, and failure to do homework, are examples of inappropriate behavior found by the courts to qualify a student for ED. All are behaviors exhibited by Student in this case. 68. Student’s father testified that Student continues to have suicidal ideation. Student also provided documentary evidence of his continued suicidal thoughts and further suicide attempts. 69. After enrolling at Youth Care in Utah, Student, through his advocate, requested that the District refer him for an assessment, and refer him to the department of mental health for a mental health assessment. Student would not consent to return to California for the assessment. However, the District did not offer Student a proposed assessment plan until September 2006. 70. Student’s failing grades, coupled with notice from Student’s father and Dr. Elliott’s report that Student had suffered anxiety and depression, was being medicated to treat the anxiety and depression, was under the care of a psychiatrist and a psychologist, had a mood disorder and suicidal thoughts, and was using illegal drugs, should have given the District notice that social-emotional and mental health assessments were warranted. Student’s suicide attempt was further notice that social-emotional and mental health assessments were warranted as well as a referral to the county mental health department. The District had an obligation to assess Student’s social-emotional and mental health needs beginning on January 19, 2006, when it received the questionnaire and Dr. Elliott’s report from Student’s father. Because the District failed in its duty to assess Student, the District did not have sufficient information to determine that Student did not meet the criteria for ED or if mental health services should have been given to Student as a related service to his OHI. The weight of the evidence established that mental health services would have been required to meet Student’s unique needs had the District properly assessed Student. The District therefore denied a FAPE to Student and he is entitled to at least partial reimbursement of his costs at Youth Care and SunHawk. 71. The IDEA permits reimbursement of expenses incurred by a student’s parents when they unilaterally place their child in a private school or pay for related services themselves if a district has denied a FAPE to the child. Compensatory education is also a permissible remedy where the child has been denied a FAPE and proves that he or she needs additional education or services to make up for education and related services the child was denied. These are equitable remedies to ensure that a child is appropriately educated within the meaning of the IDEA. Remedies may be limited if a parent’s actions are found to be unreasonable. 72. Student presented no evidence to support his claim for compensatory education or for reimbursement of expenses for counseling services or tutoring services prior to his enrollment at Youth Care in Utah and, therefore, is not entitled to this request for relief. 73. Student’s father produced invoices and receipts for $86,748.65, for various costs incurred by Student and his family subsequent to Student’s suicide attempt on February 17, 2006. Reimbursement for Student’s cost of attendance at Youth Care and SunHawk, from March 22, 2006, until June 16, 2006,13 is appropriate based upon the failure of the District to refer Student for assessments and the concomitant failure to provide Student with a FAPE. However, the refusal by Student’s parents to produce documentation in this case, in violation of two OAH orders, was unreasonable. Although the documentation addressed issues that do not impact the primary resolution that the District failed to refer Student for assessment and thus denied him a FAPE, the lack of documentation prevented the District and the ALJ from having a full picture of Student’s treatment and mental health issues while in Utah. Therefore, the ALJ is disallowing any personal expenses incurred by Student’s parents in traveling to and from Utah. 1. Under both the federal Individuals with Disabilities Education Act (IDEA) and state law, students with disabilities have the right to a free appropriate public education. (FAPE) (20 U.S.C. § 1400; Ed. Code, § 56000.) The term “free appropriate public education” means special education and related services that are available to the student at no charge to the parent or guardian, that meet the state educational standards, and that conform to the student’s individualized education program. (20 U.S.C. § 1401(9).) A child with a disability has the right to a FAPE under the IDEA and California law. (20 U.S.C. § 1412(a)(1)(A); Ed. Code, § 56000.) The Individuals with Disabilities Education Improvement Act of 2004 (IDEIA), effective July 1, 2005, amended and reauthorized the IDEA. The California Education Code was amended, effective October 7, 2005, in response to the IDEIA. 5. Under the IDEA, states and local educational agencies (LEAs) are required to identify, locate, and evaluate all children with disabilities residing in the state. (20 U.S.C. 1412(a)(3), 34 C.F.R. § 300.125.) Under these provisions, commonly referred to as “child find” obligations, the states and LEAs must have established procedures that will ensure that all children with disabilities residing in the state, regardless of the severity of their disabilities, and who are in need of special education and related services, will be identified, located, and evaluated. The states and LEAs must have developed a practical method, and implemented that method, to determine which children with disabilities are currently in need of receiving special education and related services. (b) The discrepancy is due to a disorder in one or more of the basic psychological processes and is not the result of environmental, cultural, or economic disadvantages. (c) The discrepancy cannot be corrected through other regular or categorical services offered within the regular instructional program. 14. The eligibility criteria for “other health impairment” is defined in Code of Federal Regulations, title 34, section 300.7 (c)(9)(i)(ii), as having limited strength, vitality or alertness, including a heightened alertness to environmental stimuli, that results in limited alertness with respect to the educational environment, that is due to chronic or acute health problems such as … attention deficit disorder or attention deficit hyperactivity disorder…and adversely affects a child’s educational performance. 15. Education Code section 56339 and California Code of Regulations, title 5, section 3030, subdivision (f) (herein section 3030 (f)), substantially reiterate the language of their federal counterparts, although reference to ADD and ADHD are omitted from Section 3030 (f). The omission is not dispositive since the federal statutes take precedence in defining minimal IDEA standards. A pupil has limited strength, vitality or alertness, due to chronic or acute health problems, including but not limited to a heart condition, cancer, leukemia, rheumatic fever, chronic kidney disease, cystic fibrosis, severe asthma, epilepsy, lead poisoning, diabetes, tuberculosis and other communicable infectious diseases, and hematological disorders such as sickle cell anemia and hemophilia which adversely affects a pupil’s educational performance. In accordance with section 56026(e) of the Education Code, such physical disabilities shall not be temporary in nature as defined by section 3001(v). 22. Additional criteria for a mental health referral, as set forth in Government Code section 7576, subdivision (b), are as follows: (1) the pupil must have been assessed by the school in accordance with Education Code section 56320; (2) written parental consent for the referral has been obtained by the local education agency; (3) the pupil has emotional or behavioral characteristics that impede the pupil from benefiting from educational services, are significant as indicated by their rate of occurrence and intensity and are associated with a condition that cannot be described solely as a social maladjustment or a temporary adjustment problem, and cannot be resolved with short-term counseling; (4) the pupil’s functioning, including cognitive functioning, is at a level sufficient to enable the pupil to benefit from mental health services; and (5) the local education agency has provided counseling, psychological, or guidance services to the pupil pursuant to section 56363 and the IEP team has determined that the services do not meet the pupil’s educational needs, or, in cases where these services are clearly inappropriate, the IEP team has documented which of these services were considered and why they were determined to be inappropriate. I. Did the District deny Student a free and appropriate public education (FAPE) during the 2005-2006 school year by failing to fulfill its child find obligations as to Student after he enrolled at Capistrano Valley High School in the District? 1. With regard to the day Student enrolled at Capistrano Valley, and up to and including January 5, 2006, the District did not fail to fulfill its child-find obligations to Student. As stated in Factual Findings 7 through 20, and Applicable Law 5 through 7, the District was not on notice that Student might be a child in need of special education services during this time. Student did not inform the District that he had previously been assessed and had been found potentially eligible for special education services under the category OHI. He did not inform the District that he was receiving medical and psychological care for depression, anxiety, and for his ADHD. Furthermore, Student did not inform the District that he had attended the Winston school specifically to address any known or suspected learning handicap. The only information available to the District during this time was that Student previously had been successful in college preparatory classes, that he appeared to be an “average” teenager, but that he was now failing classes. Given the paucity of information provided to it, the District appropriately addressed Student’s failing grades by considering modifications to Student’s class schedule. A district’s child find obligation only arises when it has reason, or should have had reason, to suspect that a child may have a disability. Failing grades alone are not a sufficient basis for triggering a district’s child find obligations. Therefore, the District did not deny a FAPE to Student from the time he enrolled with the District up to, and including, January 5, 2006. 2. However, as stated in Factual Findings 21 through 25, 29, and 30, the District became informed of Student’s mental health problems and OHI diagnosis when Student’s father gave District staff a copy of Dr. Elliott’s assessment report and the completed parent questionnaire on January 19, 2006. The two reports informed the District of Student’s anxiety, depression, psychological and psychiatric treatment, the medications he was taking, and the potential for special education eligibility. As stated in Applicable Law 6 and 7, the District’s child find obligation is generated when it has reason to suspect that a child has a disability and, therefore, may be eligible for special education services, not when it finally determines that eligibility is appropriate. The facts contained in the assessment report and the parent questionnaire was the type of information that typically gives rise to a suspicion that a child might have a disability. Therefore, the failure of the District to refer Student for an assessment after receiving these documents denied him a FAPE. 3. Based on Factual Findings 33 and 34, and Applicable Law 5, 6, and 7, the District had further reason to suspect that Student might be a child with a disability, on February 7, 2006, the date the SST meeting was held. The SST reviewed the confidential parent questionnaire as well as Dr. Elliott’s assessment report. The SST should have referred Student for an assessment at that time. The District’s reliance on the acquiescence of Student’s father to the intervention proposals of the SST and on his appreciation for the efforts of District staff, is misplaced. As stated in Applicable Law paragraph 8, it is the obligation of a school district, not of a student’s parents, to locate, identify, and refer him or her for an assessment. The District’s failure to refer Student for an assessment at this time denied him a FAPE. 4. Likewise, the failure of the District to refer Student for an assessment after the District was notified of Student’s admission to the hospital and that Student would be transferred to a treatment facility in Utah, denied a FAPE to Student. As indicated in Factual Findings 35 and 37 through 39, and Applicable Law 5 through 7, and 20 through 22, the District had reason to suspect that Student was a child in potential need of special education services and related mental health services. Student’s admission to a psychiatric hospital and need for admission to a residential treatment center, should have put the Disrtrict on notice that Student’s mental health was at issue. The District’s failure to follow up on information concerning Student’s condition, and failure to refer him for an assessment, resulted in the denial of a FAPE to Student after he attempted to commit suicide on February 17, 2006. II. Did the District deny Student FAPE during the 2005-2006 school year by failing to assess Student in all areas of suspected disability, within statutory time frames, upon his request? 5. Based upon Factual Findings 40 and 42 through 45, and Applicable Law 9 and 10, the District had an obligation to refer Student for an assessment when his Father requested special education assistance on January 6, 2006. The District’s argument that the wording of the email sent by Student’s father was not a trigger for the assessment process to begin is not persuasive. The email sent by Student’s father was in writing. The District should have proposed an assessment plan to Student’s parents within 15 days of receiving the email request. The District’s failure to do so denied a FAPE to Student. 6. As stated in Factual Findings 46, and 48 through 50, and Applicable Law 9 and 10, and 14 through 16, the District should either have referred Student for an assessment under the potential eligibility category of OHI, or accepted the assessment report of Dr. Elliott, which recommended that Student be found eligible under that special education category, and submitted that assessment to an IEP team for an eligibility determination. The District did not produce any evidence to counter the Student’s evidence that he is eligible for special education services under the category OHI. Therefore, the failure of the District to assess Student for eligibility under the category OHI denied a FAPE to Student. 7. Furthermore, as stated in Factual Findings 56, 58 through 67, and 70, and Applicable Law 9, 10, 18 and 19, the District had more than sufficient information that Student was having significant mental health issues, including anxiety, depression, and suicidal ideation. The District had more than sufficient knowledge that Student was, at the least, clinically depressed, and that there was, at least, a possibility that these issues were affecting Student’s ability to benefit from his education. The District did not, however, refer Student for an assessment in spite of all the information it had in its possession regarding Student’s mental health from Dr. Elliott’s report, the confidential parent questionnaire, and, later, Student’s hospitalization. All these factors should have led the District to suspect that Student might be eligible as an emotionally disturbed child, and therefore, should have been assessed in the area of emotional disturbance. The District’s failure to do so denied a FAPE to Student. 8. Additionally, as indicated in Factual Findings 56, 58 through 67, and 70, and applicable Law 18 and 19, Student is eligible for special education services under the category of ED. The evidence indicates that Student, for a long period of time, to a marked degree, in a manner that adversely affected his academic performance, labored under a general pervasive mood of unhappiness and depression. He also exhibited inappropriate behaviors by not completing homework, failing his classes, and most importantly, by attempting to commit suicide. Further, Student’s failing grades demonstrated an inability to learn that could not be explained by intellectual, sensory, or health factors. 9. Additionally, as indicated in Applicable Law paragraph 4, even if Student was not eligible for special education services under the category of ED, he was still entitled to related services to treat his mental health issues that were coexistent with his OHI. Since a district is obligated to provide any necessary related services needed to meet the unique needs of a student eligible for special education so that the student can access his education, the District is required to provide mental health services for Student even if his only eligibility category is OHI. 10. Moreover, as indicated in Factual Findings 45, 50, and 70, and Applicable Law 1, 2, and 3, the failure to assess Student was a procedural violation that does not fall into the category of “harmless error.” The failure to assess Student resulted in the denial of a FAPE to him because he was never provided with an IEP or any services to address his unique needs. 11. Finally, as stated in Factual Findings 51 through 55, and Applicable Law 11, 12, and 13, Student failed to prove that he should have been assessed and/or would have been eligible for services, under the category of SLD. III. Did the District deny Student a FAPE during the 2005-2006 school year by failing to refer Student for a mental health assessment and services under AB 3632, upon Student’s request? IV. Did the District deny Student a FAPE during the 2005-2006 school year by failing to develop an IEP for Student and failing to offer him a continuum of placements, based upon Student’s unique needs? 13. The District’s failure to refer Student for assessment, resulted in the breakdown of the special education system for Student. Since the District never assessed Student, or otherwise found him eligible for special education, an IEP meeting was never held, an IEP was never proposed, and Student never received any services. Based upon Factual Findings 30, 39, 45, 50, and 70, and Applicable Law 1 through 10 and 14 through 22, the District committed serious procedural violations of the IDEA which impeded Student’s right to a FAPE and the special education services he required to meet his unique needs. 1. Student’s request for full assessment by the District is denied. The District has filed a request for a due process hearing in OAH Case No. N2006100240 in which it seeks to assess Student. Whether the District has a right to assess Student and whether assessment is appropriate shall be determined in that case. 2. Student’s request for compensatory education in the form of one-to-one assistance with remedial academic needs for Student’s alleged hyperlexia, and in the area of reading comprehension, and for compensatory mental health counseling, is denied. 4. Student’s request for reimbursement to his parents for costs of independent assessments, academic counseling, and private tutors, is denied. Education Code section 56507, subdivision (d), requires that the hearing decision indicate the extent to which each party has prevailed on each issue heard and decided. 1. Student partially prevailed on Issue one as did the District. 2. Student prevailed on Issues two, three and four.